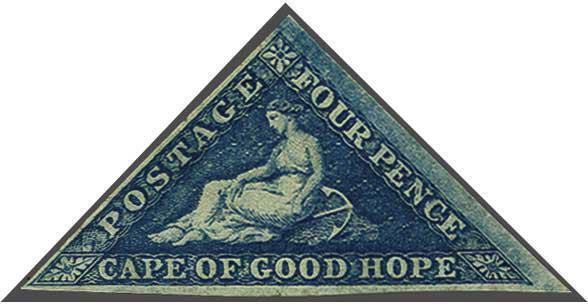 1855/63: 4 d. blue on white paper, an unused example with ample to large margins all round, showing the re-entry on ENC of PENCE (Stevenson IIA), of excellent colour with blue burr rubbing in right magin, minor imperfections not affecting the appearance, small part og. A scarce and attractive stamp. Cert. BPA (1989) Gi = £ 1'100+.